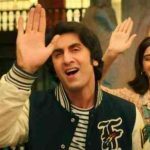 Sanju 19th Day Box Office Collection, Surpasses Lifetime Total of Bajrangi Bhaijaan! With a super-strong word of mouth, the biopic of Sanjay Dutt ‘Sanju’ is running terrifically at the box office since its release. 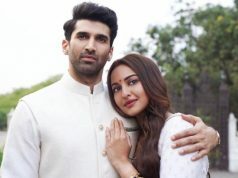 By remaining rock-steady throughout so far despite having new offerings in the opposite, it has surpassed the lifetime total of Salman Khan’s blockbuster Bajrangi Bhaijaan within 19 days of release. 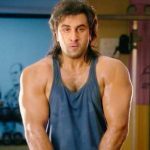 Starring the powerhouse of talent Ranbir Kapoor, Sanju has hit the target right and impressed almost everyone with its engaging storyline and proficient direction of ace filmmaker Rajkumar Hirani. The actor is also being appreciated by all the viewers for his brilliant performance as Dutt. 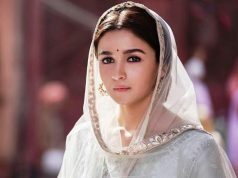 Produced by Vidhu Vinod Chopra and Raju Hirani himself, this biographical drama took an exceptional opening and did the business of 202.51 crores in the first week from 4000 screens. In the second week as well, it remained strong and reported the business of 92.67 crores from 3000+ screens across India. Then in the third weekend, once again Sanju showed a remarkable growth and raked the business of 21.46 crores that included 4.42 crores of 3rd Friday, 7.75 crores of 3rd Saturday, and 9.29 crores of 3rd Sunday from 2000+ screens nationwide. Now Fox Star Studios’ presentation is running on weekdays and still has enough hold over the audience. On 3rd Monday, it faced a drop of 36.43% than Friday and collected 2.81 crores. 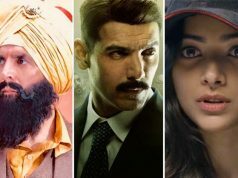 With a further decline, the movie minted 2.59 crores on 3rd Tuesday and raised 19 days domestic total to 322.04 crores. After beating the record of Bajrangi Bhaijaan (320.34 crores), Sanju has become the 5th highest grosser of all time in Hindi Cinema. Now its next targets are Salman’s Tiger Zinda Hai (339.16 crores) and Aamir’s PK (340.80 crores).